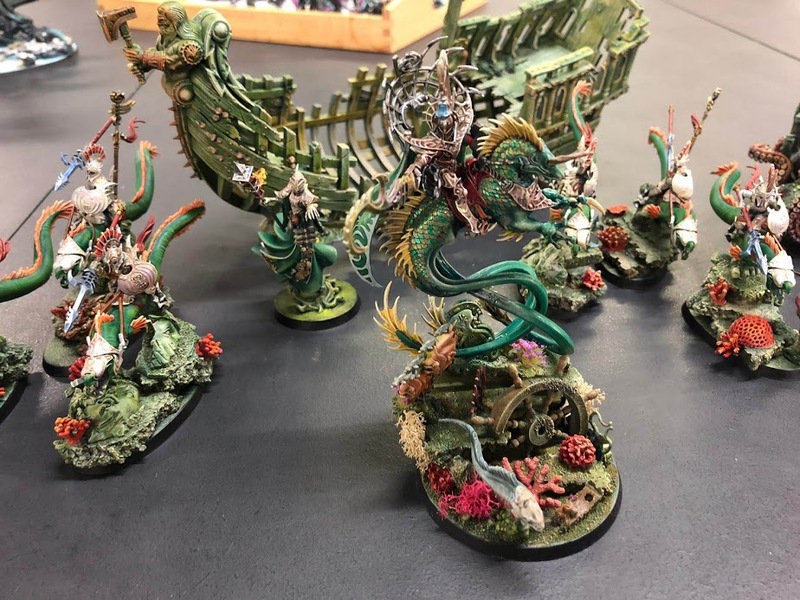 The Painting Masters is the project of Matt Lyons (@ProPainted) who collates all the winners and nominees of the best painted awards at the various tournaments and narrative events held in the UK. At the end of the year, he invited the top sixteen players on his list to a masters’ event. 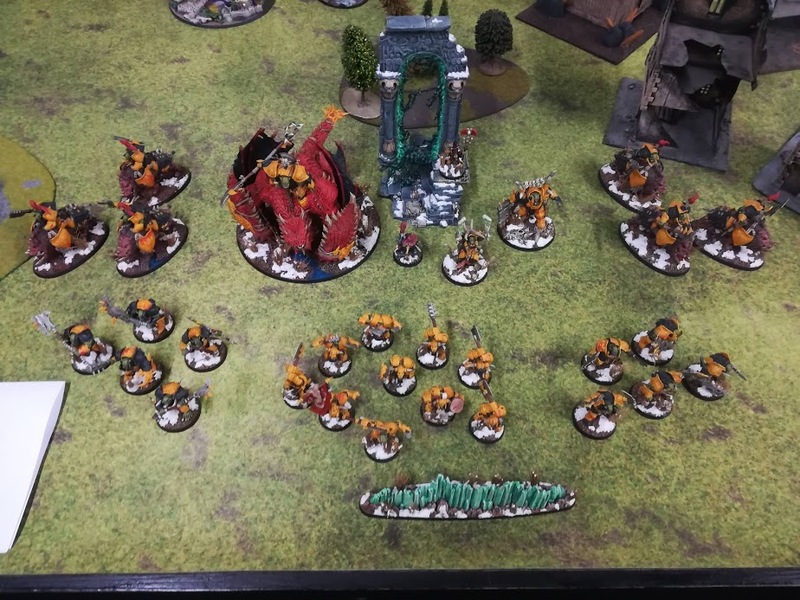 Unfortunately, there were two other events on the same date, including a Warhammer World team event. 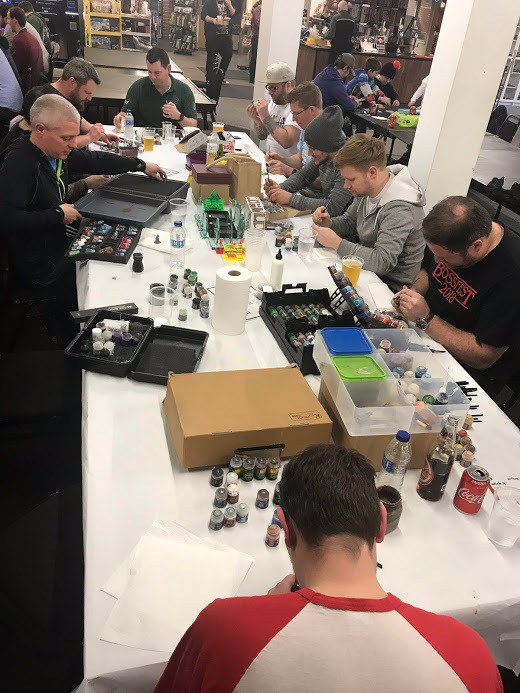 This meant that reserves were invited (these players had all been nominated for best painted awards, or won them, just not as many as the top 16), and that’s where I come in! 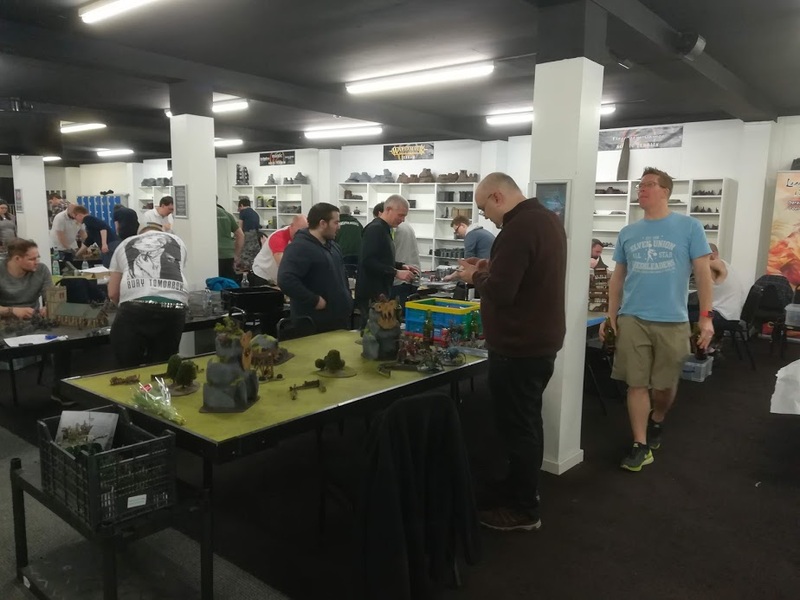 Twelve gamers arrived at Firestorm Games, Cardiff, to play five rounds of AoS. I was genuinely surprised by the quality of the venue, trading in a small industrial site. 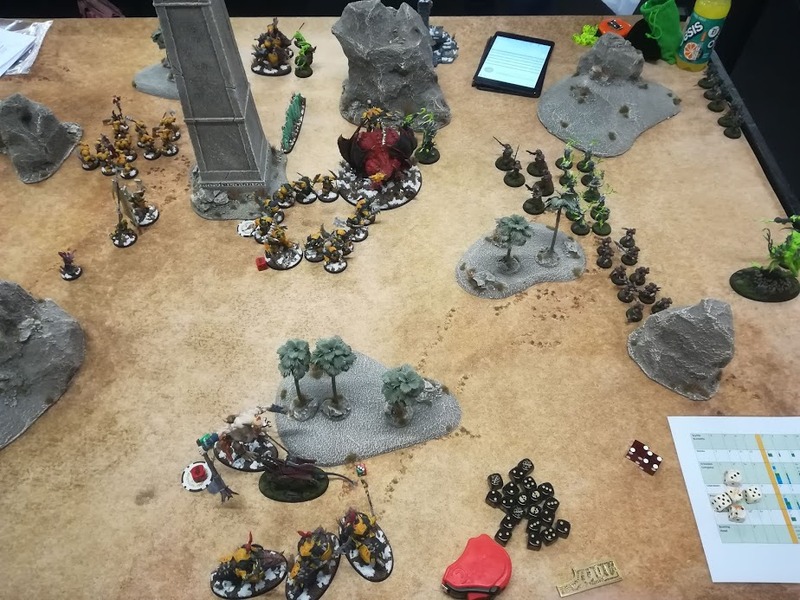 There were ample gaming tables, high quality and plenty of terrain, one of the best stocked shops I’ve seen and most importantly, a bar! Slightly disappointed that hot and soft drinks were sold by vending machine only, but that’s more of a niggle than a show stopper. 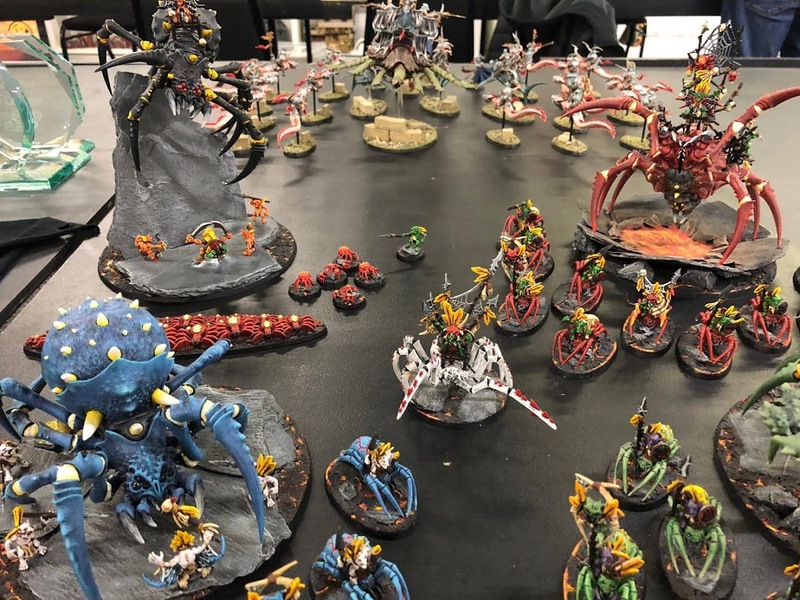 As it’s primarily a painting event, most of the scores came from three painting categories, amusing achievements and sportsmanship. Only a third of the player score came from gaming. 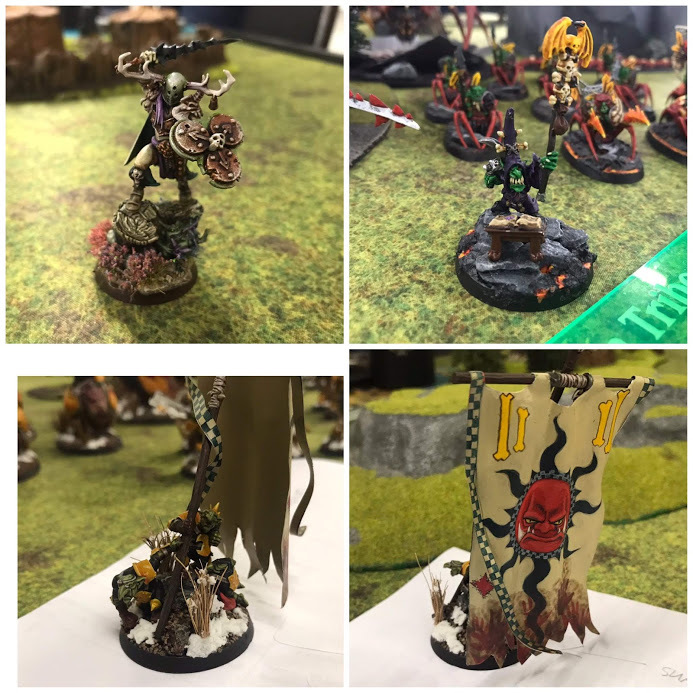 I decided to take my favourite looking army, my Ironjawz. My cunning plan was to get tabled quickly and spend more time at the bar chatting hobby! Instead, the yellow lads and dice decided to go full throttle. 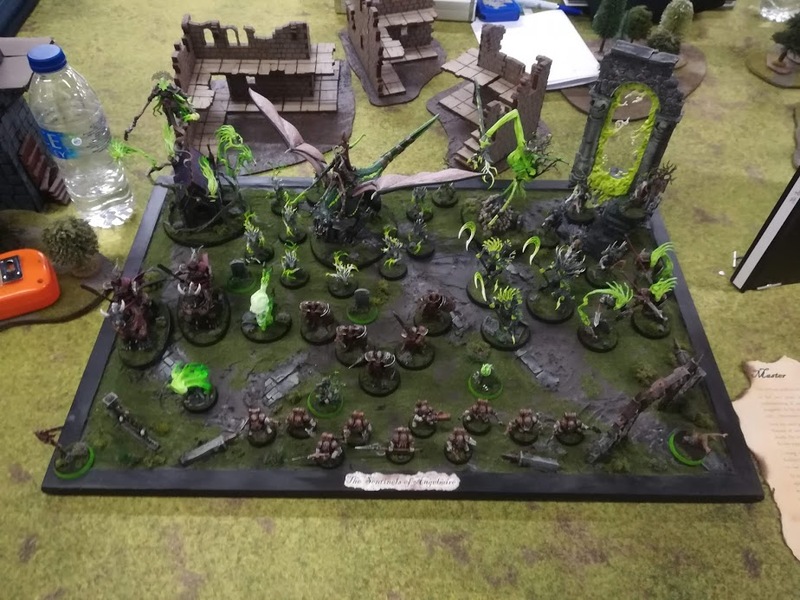 What followed was five of the most intense games of AoS I’ve played, always going to the final round to decide the winner. 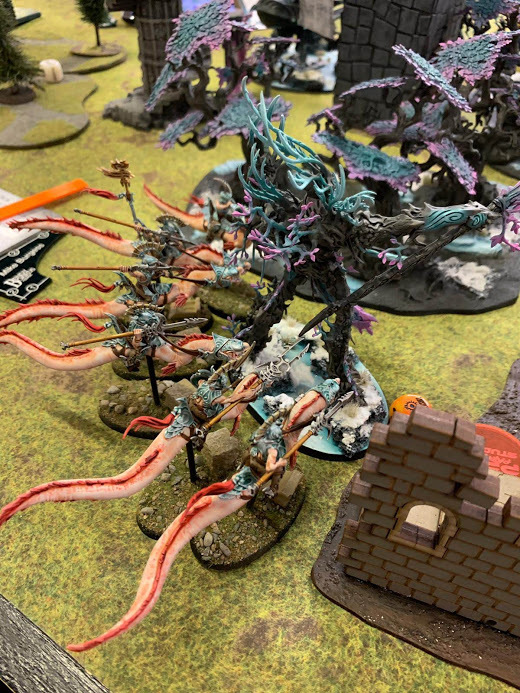 I even pulled off a minor win against one of the gaming masters, Mike Wilson and his Slaanesh. 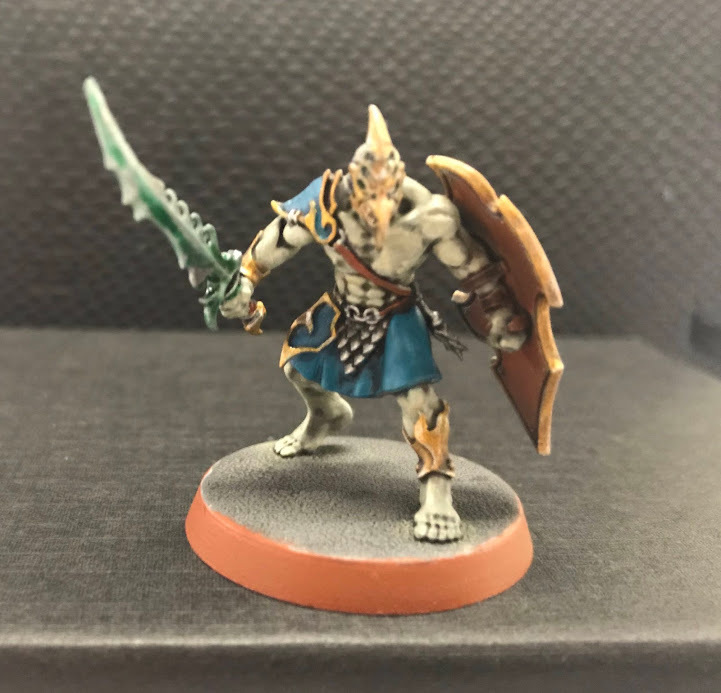 Anyone who knows me has heard me bitterly complain about how out of date, and uncompetitive, Ironjawz are. I can assure you the humble pie was salty. As an event aimed at painters, it would only make sense for there to be some sort of painting competition. 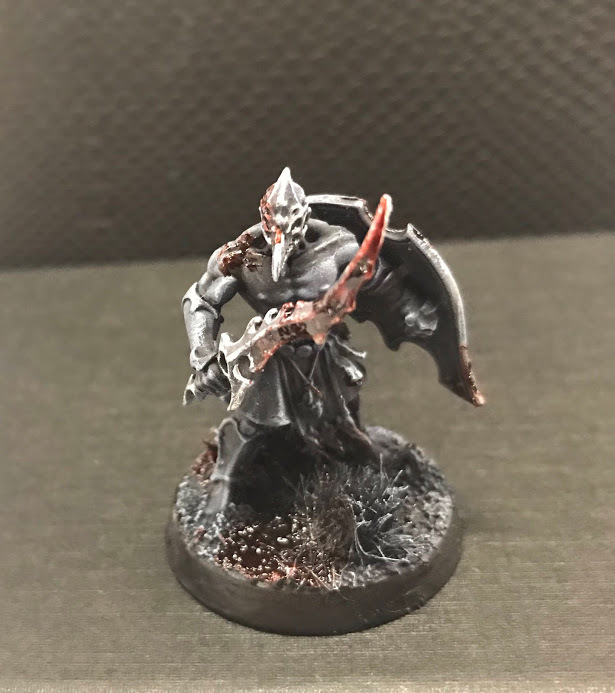 All the players were given forty-five minutes to paint a Kairic Acolyte, and there was some furious brushwork! I was able to win the judges choice in this category. All the players were required to bring a Shadowy Agent for their games. 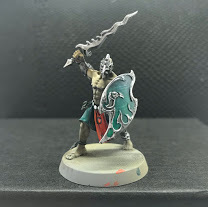 This mini could be anything they wanted, an ideal opportunity to bring something unusual. 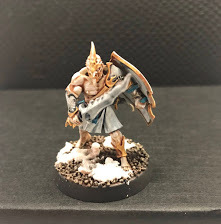 I built a ‘Irongrots’ standard bearer, using the Blood Bowl goblin players. The banner was a 90’s era inspired freehand affair, painted on tomato puree tube. I was suitably chuffed to win the Shadowy Agent award! 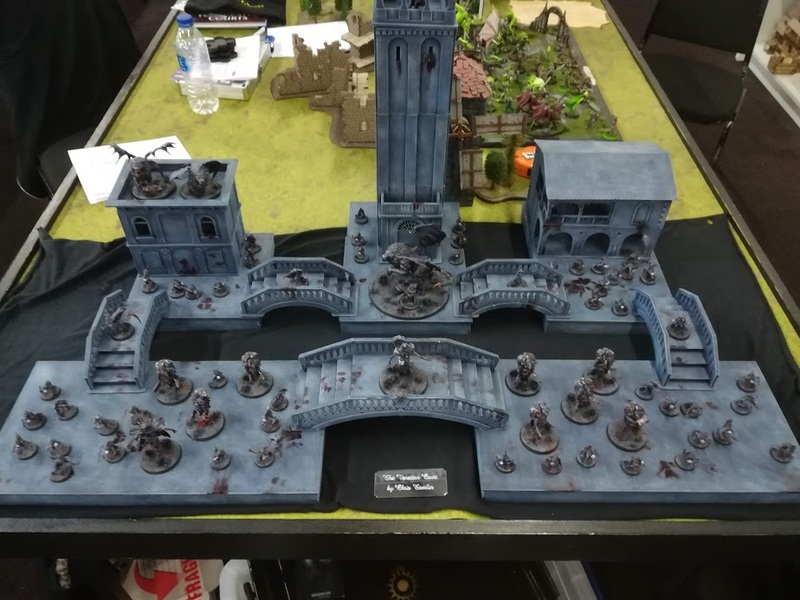 In the end I won second place overall, getting a few points for sportsmanship and best army voting. I’ve never had the opportunity to play games against such a great bunch of players, there was a positive attitude all weekend, and the social side was outstanding! 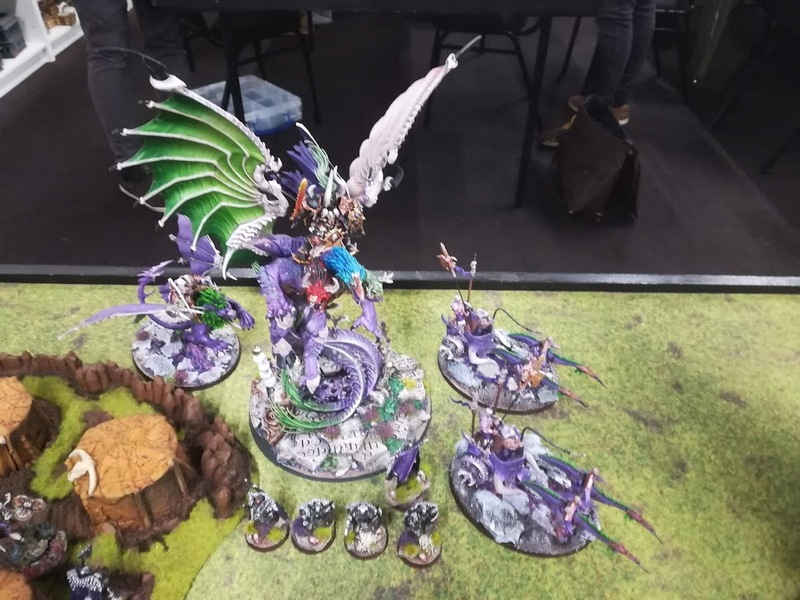 This has got to be my favourite event I’ve been to, and now I must win some painting awards to make sure I get invited back in 2020! Anyway, thats enough of my prattle. 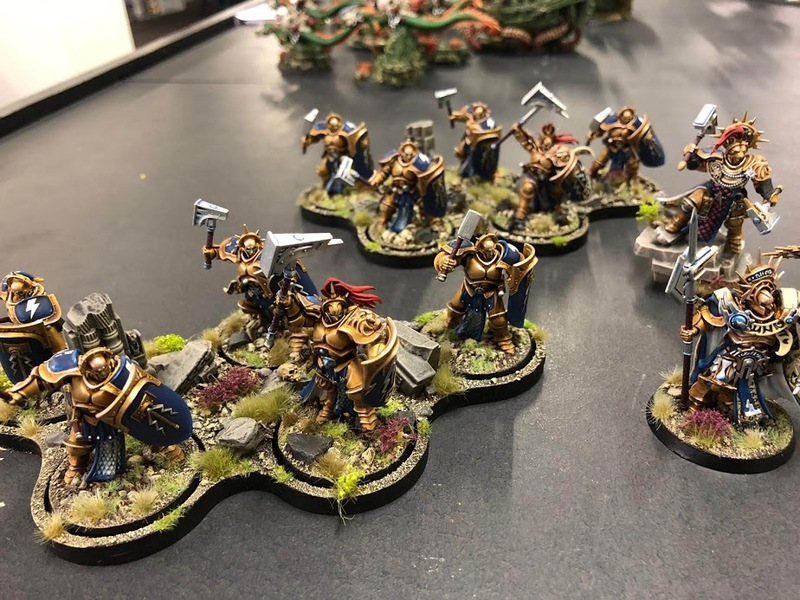 You want to look at some stunning looking armies, and you will not be dispointed. 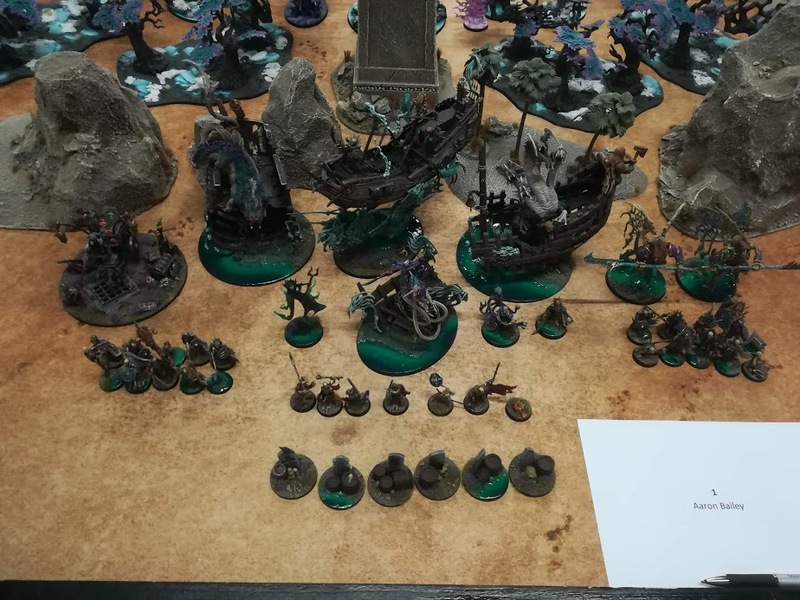 It was inspiring to play games against and alongside these mini’s, so my thanks to all the other players in the event! 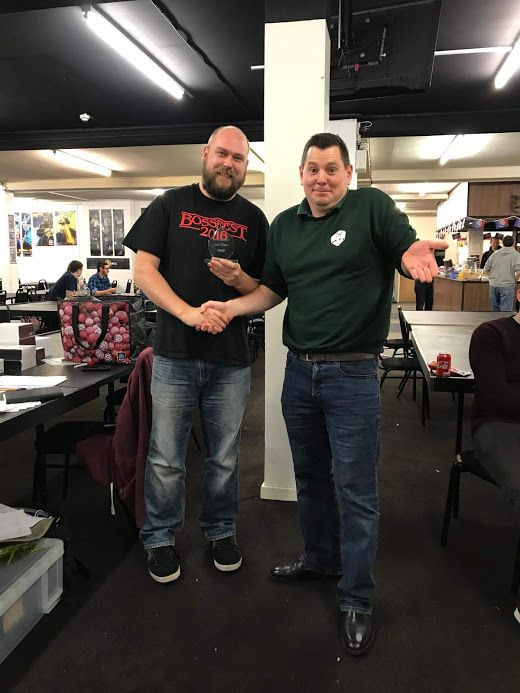 Aaron Bailey won the Masters event, along with the Best Painted Award, 3rd Place Concept Army & Sportsman, and the Judges Choice Shadowy Agent. 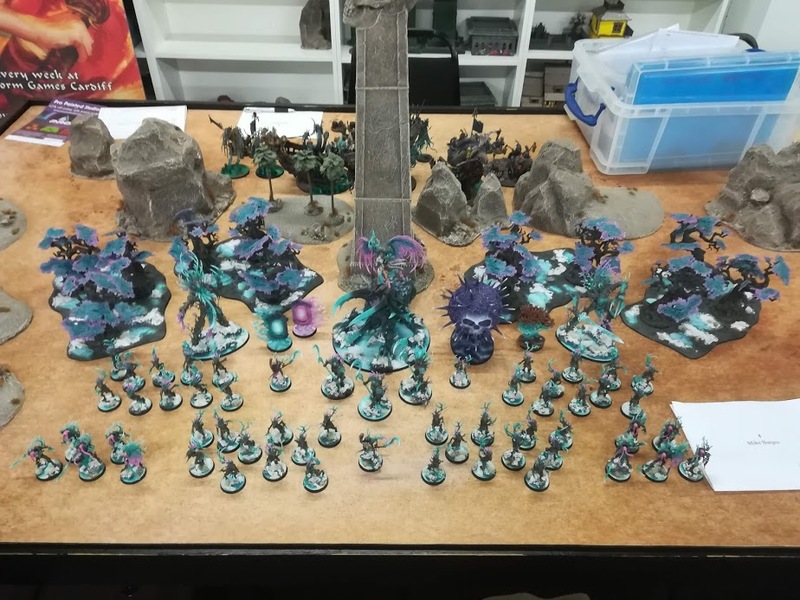 An impressive haul for what is a lovely army, and loads of dedication. And Arnie, who didn’t get his army out for photo’s!